How to crochet a cobblestone washcloth set – that is a quest we are on today. 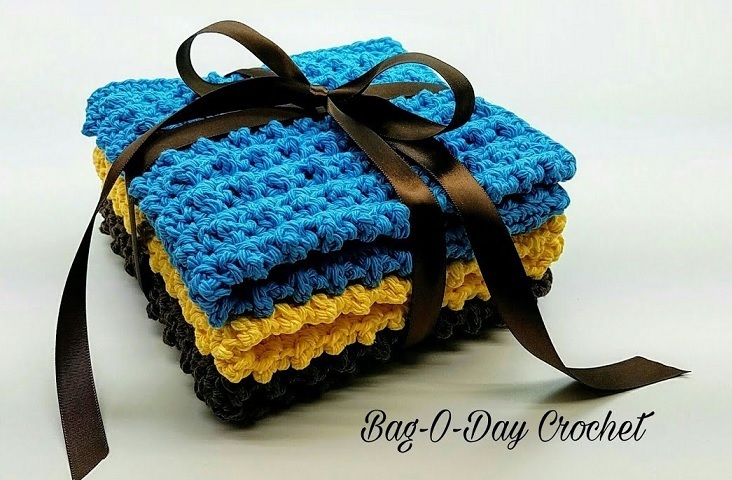 We are going to look at a very clear and step by step video explanation that teaches us to crochet a beautiful and rather useful in our everyday life – washcloth. Firstly the tutorial shows us how to make cobblestone stitch and afterwards it transitions in order to complete a washcloth as a project. Choosing a yarn is rather important because you don’t want your washcloth to be stiff. Imagine what a beautiful gift it is to give someone a brand new, handmade, beautifully wrapped set of washcloth.